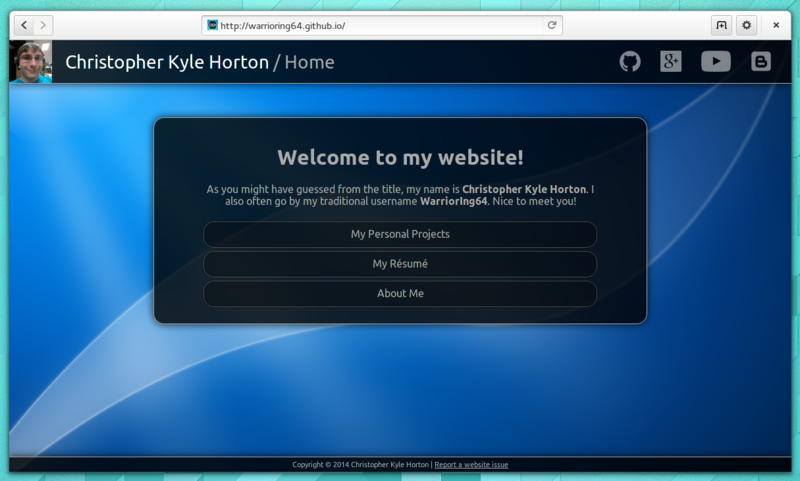 I have just updated my personal website again at http://warrioring64.github.io/. Instead of using multiple subpages, I now moved nearly all of my HTML code into one big file, and the individual divs are shown dynamically using JQuery. The result should be a smoother experience for visitors.